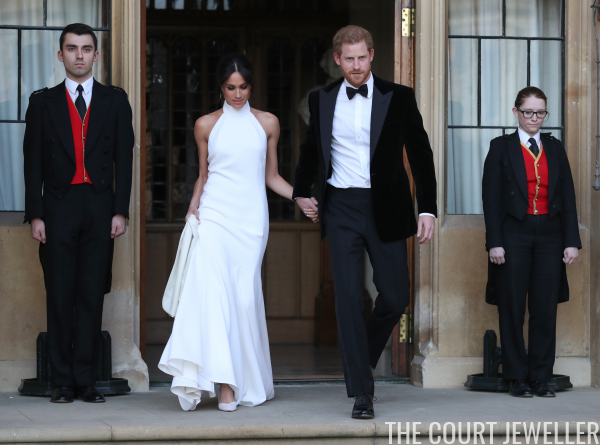 The new Duke and Duchess of Sussex had a costume change after their wedding breakfast at Windsor Castle, swapping out their wedding duds for evening attire -- and a very sentimental piece of jewelry! She also changed her earrings. 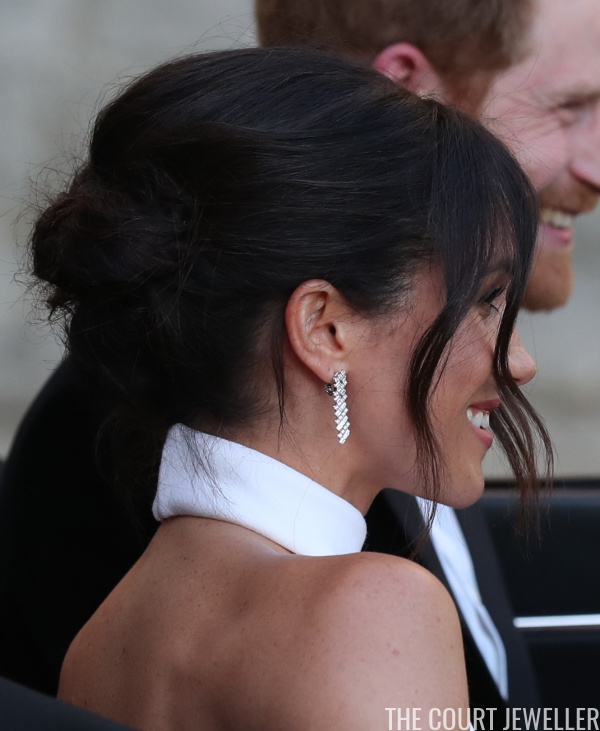 These appear to be diamond earrings from Cartier, and it looks like they match the bracelet she wore during the wedding ceremony. 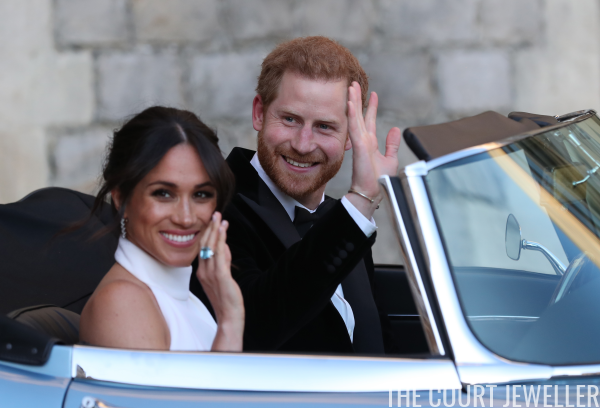 According to Laurie Brookins, the wedding bracelet is the Reflection de Cartier style, made of diamonds set in 18-carat white gold. The earrings appear to be from the same collection. And see that big blue flash on her right hand? 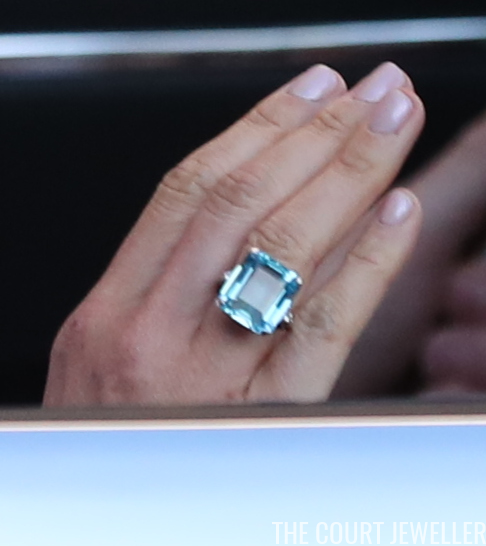 Get excited, Diana fans: Meghan is indeed wearing the large emerald-cut aquamarine ring that belonged to the late Diana, Princess of Wales! How impressive is this??? A lovely "something blue" for Meghan from her late mother-in-law. 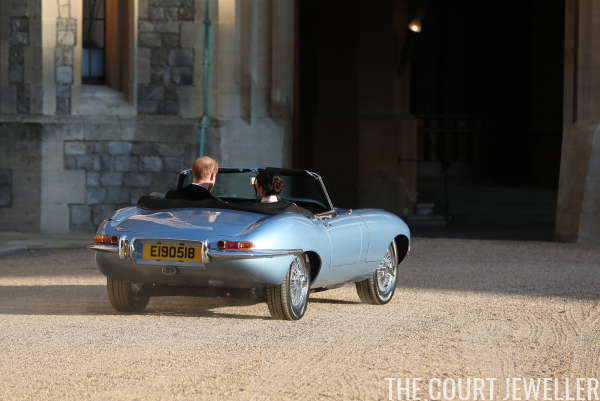 As if the ring weren't enough of a "something blue," the soles of Meghan's shoes were also baby blue -- as is the sports car that they hopped in for the drive to Frogmore House. This should be the last we see of them today. Hasn't it been a glorious day for jewels?? ?